I had the opportunity to visit Organic Valley’s headquarters in Wisconsin this past week, and have come back with a new appreciation for what organic means. 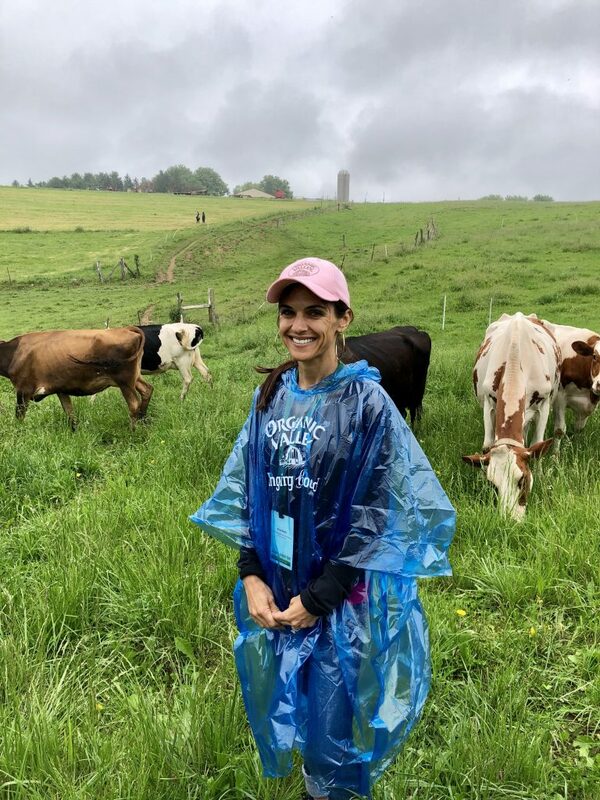 Yes, we talked about some of their products – but we also visited an organic farm, heard from the farmers, and I got a real appreciation for what organic means, what it means to farmers, and why it is important. If you’ve ever scratched your head wondering if it’s worth paying the extra price for, I hope that this post can clarify some questions for you. Wow – that’s pretty impressive, in my opinion, enough to pique my interest. But don’t just stop here, because it gets more interesting. ALL of the production of these foods are raised as said above. They are grown and processed organically. Farmers and businesses are required to adhere to the USDA standards from start to finish, and are inspected annually. During this process, an inspector comes out to their farm or location and asks for receipts, examines the location, wants to know about the land, and more. 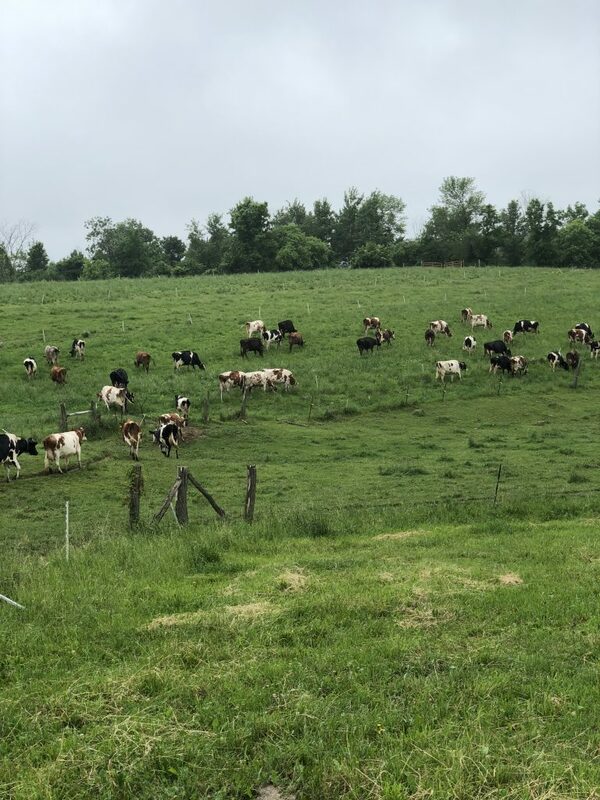 Relating to our farm tour, the inspector wants to see the cows, know if any have been sick, how they have been treated, what feed has been given, and more. It’s a rigorous process for the farmers, but it gives us, as the consumers, the ability to buy with confidence. Only approved substances can be used as a last resort; nothing outside of this list of substances can be used. The only time synthetics can be used is if an organic version is not available. 95% of the ingredients must be organic. No GMO’s can be included. Certification is required to say “organic” and to carry the label. Does organic differ from Non-GMO? GMO’s are genetically modified. They are organisms that have genes that have been modified unnaturally. Where plants may be crossed out in a field, with GMO’s, a gene (or more) are inserted into an organism inside a lab. They are cross-bred and when it comes to food, sometimes with a negative connotation. With foods that have been altered, they are often done so that they can repel certain insects. But looking further into this, those seeds have been bred with a protein that is toxic to some insects. This essentially means that when we eat them, we are ingesting these proteins, and it’s unknown if they can be dangerous to us or not. Corn, soy, canola, and sugar beets are the most common forms of GMO’s. It’s important to note that many processed foods contain one or more of these ingredients. 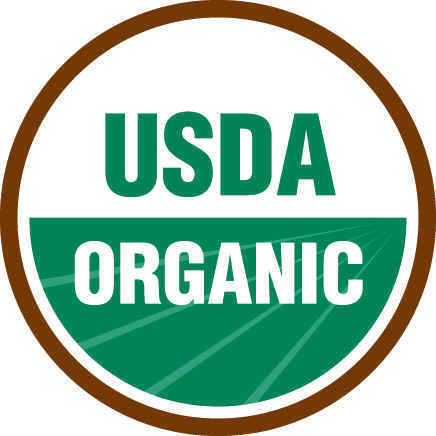 Since having the USDA certified organic seal can assure that no GMO’s are included, if you are avoiding GMO’s, you can essentially just rely on the seal shown above. Is organic worth paying the extra price for? By buying organic, you are supporting farmers who are farming organically, by nature. They are rotating crops, increasing biodiversity and decreasing the impact on the environment. On the flip side, conventional farming uses toxic and persistent pesticides, herbicides and more to kill weeds and prevent pests. This process is actually very detrimental to the soil quality, and also provides the potential for drifting, or winds blowing the toxic chemicals elsewhere besides their farms. What organic means is that we are discouraging the use of antibiotics and feed that we, as consumers, may not feel confident in. Antibiotic resistance is a growing issue, and one that we need to be wary of. By buying organic dairy and meats, we vote with our dollars and vote against the use of antibiotics. Use of antibiotics in agriculture also effects the microbiome. We’ve got one world, friends, and we’ve got to treat it right. Recent 3rd parties have verified that Organic Valley’s Grassfed whole milk has more omega-3, higher levels of CLA, and a better ratio of fatty acids, which are better for brain and eye health. I realize that organic is not always feasible. It can be more expensive (but not always – check your prices!). You can always refer to the dirty dozen/clean 15 list and pick and choose what you can. Organic doesn’t need to be all or nothing. Prioritize what you can! Hanging out in the pasture with the cows:). Animal welfare. On an organic farm, animals have a safe, cage-free area with access to open pastures to roam. They also have 100% organic feed – and remember, we are what we eat, we are also what what we eat eats. Organic is not about a temporary fix; it’s fixing the problem, the root of the cause. 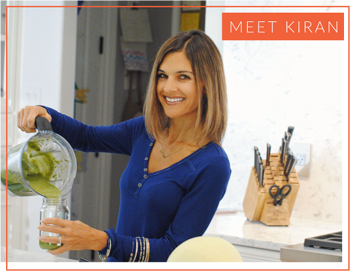 It’s similar to a holistic approach that some of us choose in taking care of ourselves. Why should the animals not be treated the same? If all of the farms migrated to organic methods, it would even out the playing field, so to speak, for both farmers and consumers. It would also help our environment and the Earth’s microbiome, which, in my opinion, could only be positive to all of us living here. Now it’s your turn. I want to hear in the comments what your thoughts are on organic. How do you feel about it? 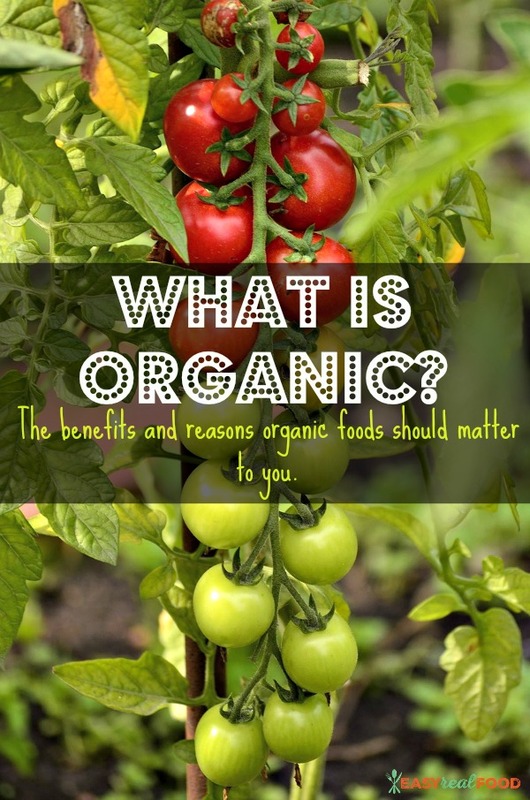 Do you purchase organic foods, and if so, which ones? My favorite source for organic skincare.